So much of our confusion and pain results because we don't know God - who He really is, how He works in our lives. KAY ARTHUR is one of America's best-known and most-beloved Bible teachers and authors. With her husband, Jack, she is the cofounder of Precept Ministries International, the leaders in inductive Bible-study resources. Kay also reaches hundreds of thousands of people internationally through her "Precept upon Precept" inductive Bible studies. In addition, her daily and weekly television programs air on over 900 stations in 30 countries. Lord, I Want to Know You: A Devotional Study of the Names of God by Kay Arthur was published by Waterbrook Multnomah in January 1920 and is our 18642nd best seller. 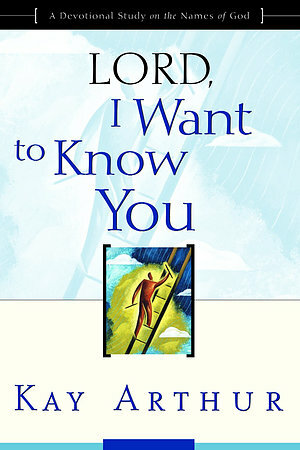 The ISBN for Lord, I Want to Know You: A Devotional Study of the Names of God is 9781578564392. Be the first to review Lord, I Want to Know You: A Devotional Study of the Names of God! Got a question? No problem! Just click here to ask us about Lord, I Want to Know You: A Devotional Study of the Names of God.